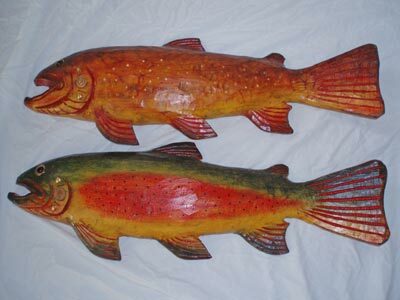 Rough Hewn Wall-Hanging Fish - 24" long, flat on one side, hangs nicely on a wall. 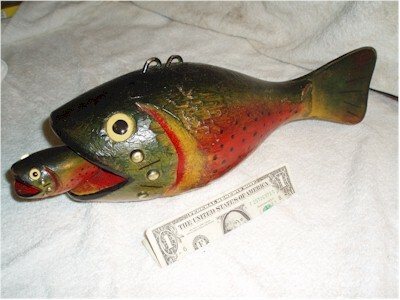 Rainbow trout, brown trout (shown) also lake trout, sockeye salmon, northern pike, musky and bass. 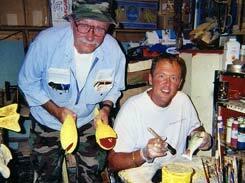 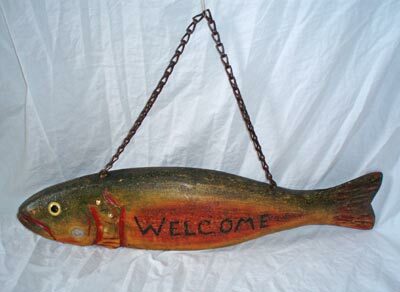 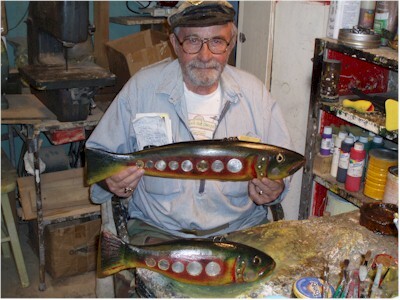 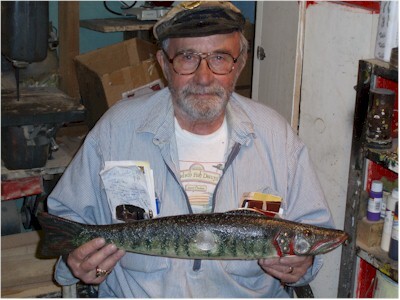 Welcome or Bait & Tackle - 24" Rainbow trout with "welcome" or "bait & tackle" with chain for hanging display.